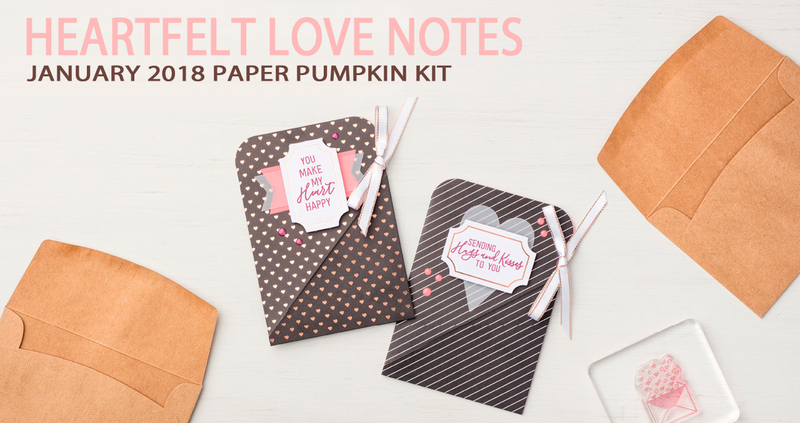 As usual with my alternates, I tried to stick closely to the Paper Pumpkin kit supplies. I made a Valentine's Day Advent for my Sweetie, with a treat for each day. And the even numbers are the striped card bases, as you can see below here. This one has a little more ad libbing going on. 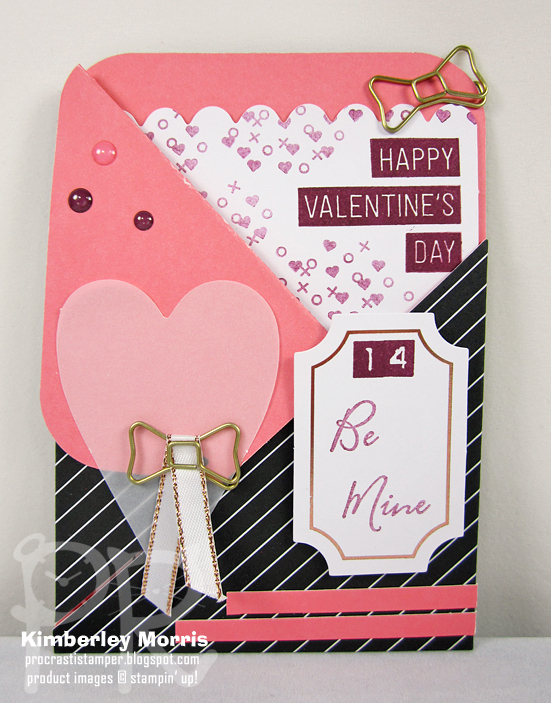 I used some of the leftover edges and middles of the pink banners to make a little arrow for the heart! When you make these, you need to be a bit strategic in placing your adhesives so they don't show through the vellum, and they don't cross over the diagonal cut. 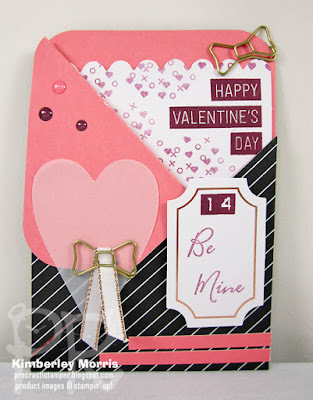 The last card falls on the 14th--Valentine's Day, so it has a striped card base, as you can see below here...but it's done in a slightly different design since it's the last day. I used the Labeler Alphabet stamp set to put the number of the day at the top of each of the tags. 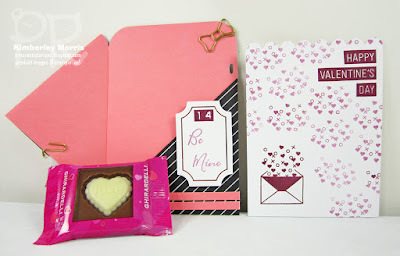 I forgot to put it back in for the other pictures, but I tucked a Ghirardelli Chocolate Square in the card for the last day...and there is a special love note on the back of the card, but that's for my Sweetie's Eyes Only! You probably noticed the little Bow Paper Clips on the upper right corners of each one. Those are on the Clearance Rack right now, you get a package of 24 for ONLY $2.20 so it's an amazing add-on to an order! I used those so I could hang my advent on a line I have in my living room. The lighting is terrible, so I'll show you the first two hanging, then pop over to the other end and show you the last one. Now that I've worked out the patterns for you, this should be SUPER easy for you to duplicate! I do have a couple more TIPS, though: 1) buy candies you don't like yourself, so you don't eat them before you are done making your project, 2) slap one mini glue dot behind the lollipop to help hold it in place--it only takes one, and 3) you can actually write notes on the back of ALL the white inserts if you want...just make sure you do it before you stick any embellishments or candy to the front. Stampin' Supplies: January 2018 Heartfelt Love Notes Pumpkin Kit, Labeler Alphabet, Bow Paper Clips Embellishments (from the Clearance Rack), Embossing Buddy, Paper Snips (for trimming and scoring). 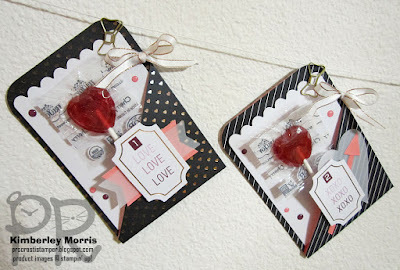 The Heartfelt Love Notes Refill Kit can now be purchased the on the PAST KITS page in my Online Store. There are sometimes full Kits available on that page, but many are just Refill Kits which include the consumables only...meaning everything but the stamp set & ink pad. 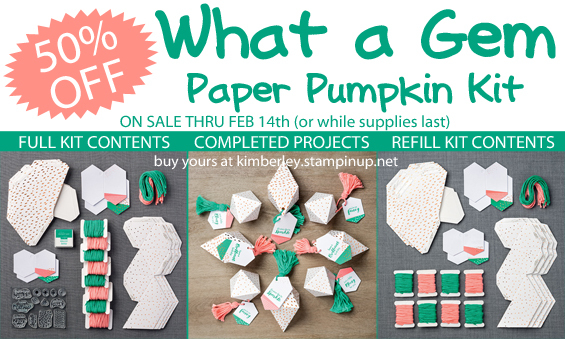 By the way, you're gonna have to be a Paper Pumpkin subscriber to buy whatever's available on that PAST KITS page, so go ahead and sign up HERE to get your email address in the system first! And don't forget, you can qualify to earn FREE STAMPS (and other select items) with Sale-a-Bration when you shop my Online Store through March 31st! 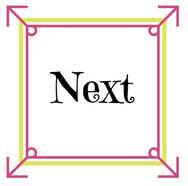 NEXT UP: Click the Next button below to see Melissa's heartfelt post! I love that you turned the cards into sweets packets! I think I need to play with that idea. I’m a sucker for suckers! So cute! 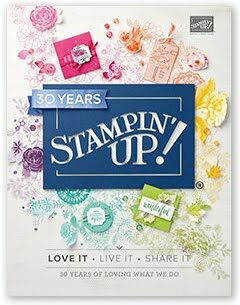 2018 Sale-a-Bration FREE STAMPS and MORE!